We offer the supplies you need to make your lawn and garden flourish. 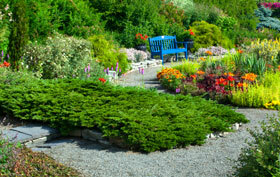 landscape your yard here online! If you are a Homeowner and you need a sack of bark or a Contractor who needs materials delivered to your job site, we can offer you great hands-on, knowledgeable customer service. let the calculator do all the work. Do you need to know the weight of a product so you can see if your truck can handle it? Can’t make it to Sequoia to place an order and you forgot what you got last year?